'For The Love of House Volume Eight’ is the latest instalment in the series of classic house compilations selected by Defected’s Simon Dunmore and Classic Music Company’s Luke Solomon. 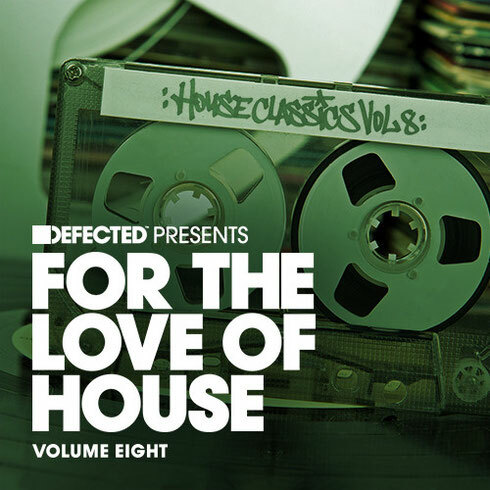 For The Love of House is all about classic, soulful and genre-defining house, with this latest edition featuring tracks from influential artists and iconic labels alike, including artists such as Roger Sanchez, Dennis Ferrer, Reel People, Arthur Baker and many more. As founders of Defected Records and Classic Music Company respectively, Simon Dunmore and Luke Solomon are behind two of the world’s most successful and respected house music labels. Along with two exclusive DJ mixes, ‘For The Love of House Volume Eight’ brings you classics in the shape of Black Magic ‘Dance (Do That Thing)’ and Faze Action ‘In The Trees’, both of which are possibly amongst the most evocative and timeless house records ever produced. More contemporary tracks of note include Osunlade Presents Nadirah Shakoor ‘Pride’ and Dennis Ferrer ‘Sinfonia Della Notte’, which see these producers at the very top of their game. The 'For The Love of House' series isn’t just about unearthing and celebrating these classic tracks, it’s about demonstrating that truly great house music is timeless. It’s out 14 June on Defected Records.